Enables people with good upper limb strength and sitting balance to slide from one seated position to another. 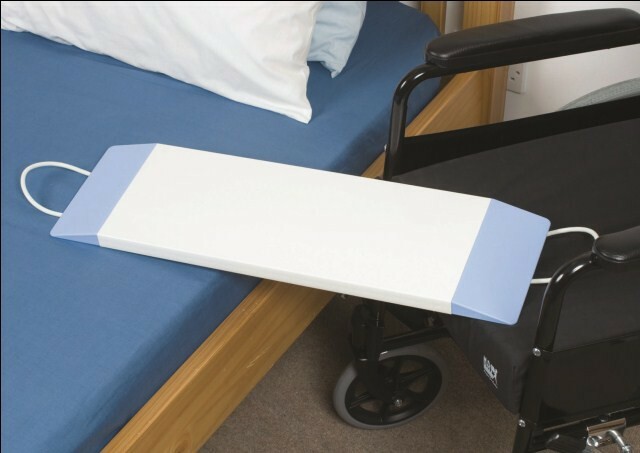 This lightweight, plastic moulded transfer board features looped handles, allowing users to pull themselves across the surface with ease. Smooth, wipe clean surface. Clean with mild sterilising solution.